Item Reviewed: Free t-shirt contest 9 out of 10 based on 10 ratings. 9 user reviews. great tees, you guys are awesome. Great Shirts guys! Look Awesome! Nice shirts! They look great! Congrats to Eric Smith for being this weeks T-shirt winner! Send your address to Johanna@campbelloutdoorchallenge.com and your t-shirt size!! 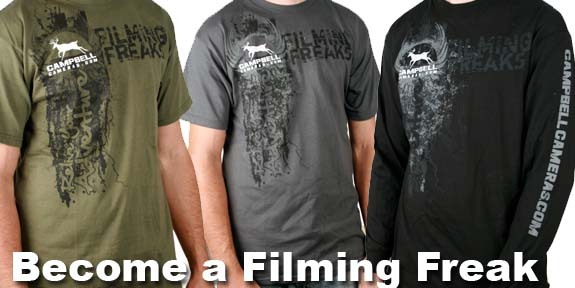 Too bad I missed the deadline:( Sweet shirts, I might have to get me one!